Thank you for considering becoming an annual member of the Safe Animal Shelter. Your membership dues are a primary financial resource for our dog and cat care including food and medical supplies. Your membership and donations are a vital component of our animal care. With your generous support, we can provide a home until they find a home for more dogs and cats in our community. For just $35 a year or more, you can become a member of Safe Animal Shelter of Orange Park. Individual Member $35 (enough to cover two months of flea medication for one dog) Entitles you to a window decal to show you are a 2019 Member, recognition in our e- newsletter, and the right to attend our meetings. Family Member $60 (will cover two dogs or cats for annual vaccinations) Entitles you to the benefits listed above plus a second window decal. Rescuer Member $100 or $9/month (will help a cat or dog get out of the shelter and into a forever home) Entitles you to a window decal to show you are a 2019 Member, recognition in our e-newsletter, the right to attend our meetings plus a 10% discount on adoption fees at Safe Animal Shelter. Provider Member $250 or $21/month (will provide bottle feedings and TLC for two – three orphaned animals) Entitles you to the benefits listed above plus a Safe Animal Shelter tee shirt. Protector Member $500 or $42/month (enough to cover the cost of heartworm treatment for one dog) Entitles you to the benefits listed above plus one Kennel Sponsorship or Cat Room Sponsorship and one ticket to Safe Animal Shelter’s annual auction. Guardian Member $1000 or $84/month (provides spay/neuter surgeries for 20 animals) Entitles you to all benefits listed above plus three additional tickets to Safe Animal Shelter’s annual auction. We need your help! JOIN TODAY! Your membership is very important to us! It shows that you support our objectives and goals at the shelter. With membership, you will receive our newsletter containing the latest information, news, and events.Safe Animal Shelter is funded by memberships, sponsors, and your generous donations. 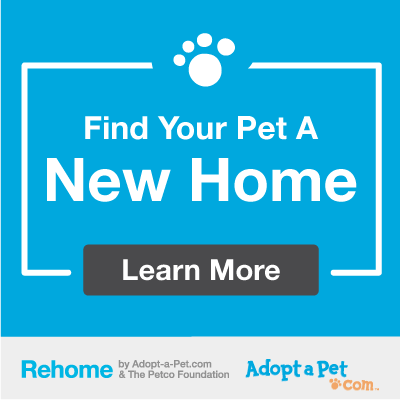 By becoming a member you enable us to continue to save and rehome cats and dogs within the Northeast Florida community. Your membership will help ensure that the animals at Safe Animal Shelter will continue to receive the medical, physical and emotional care that they need. By providing a higher standard of care, we can find the animals new homes through our pet matching program. The Safe Animal Shelter is a charitable 501(c)(3) tax-exempt organization under the Internal Revenue Code. A COPY OF THE OFFICIAL REGISTRATION AND FINANCIAL INFORMATION MAY BE OBTAINED FROM THE DIVISION OF CONSUMER SERVICES BY CALLING TOLL-FREE (800-435-7352) WITHIN THE STATE. REGISTRATION DOES NOT IMPLY ENDORSEMENT, APPROVAL OR RECOMMENDATION BY THE STATE. Our Florida registration number is 20-070012291-85c. Every contribution is tax deductible to the fullest extent of the law. 100% of the contribution goes directly to the care of the animals at Safe Animal Shelter. No outside solicitor is paid for any part of this contribution. We are a Florida registered corporation.